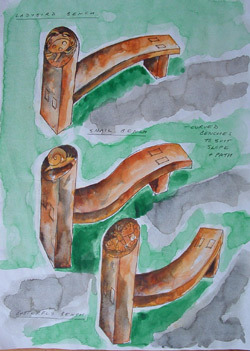 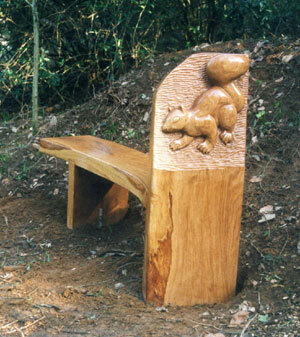 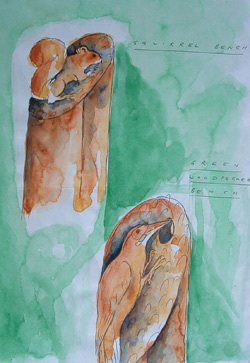 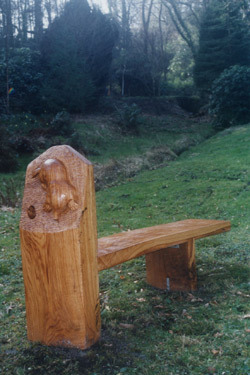 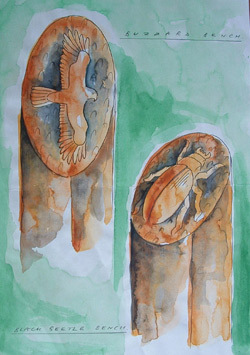 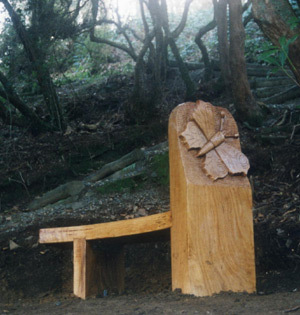 A series of carved Oak benches commissioned by The National Trust for Colby Woodland Garden, Amroth, Pembrokeshire. 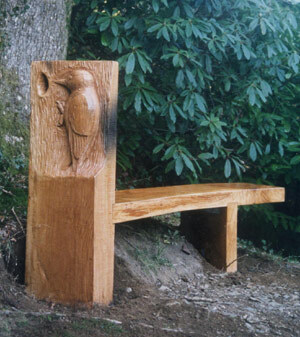 Seven benches form a trail and show examples from the variety of wildlife that can be seen in the garden; Moles, Buzzards, Snails, Woodpeckers, Butterflies, Beetles, Squirrels etc. 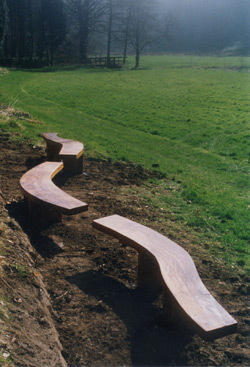 A curved bench is situated in the meadow area and echoes the meandering stream that flows nearby.